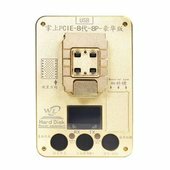 WL-PCIE NAND Flash IC Programmer has been developed for iPhone SE / 6s / 6s Plus / 7 / 7 Plus / iPad Pro*. Click here to download WL-PCIE software. Note! In order to start using this soft you just need to push LOG IN button, no registration is required. *Note! This is a professional repair tool, so professional skills and knowledge are needed for use. 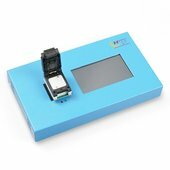 WL-PCIE NAND Flash IC Programmer – 1 pc.